When considering any type of cosmetic or reconstructive facial enhancement, it is essential to select a specialist with extensive knowledge and experience performing your procedure or treatment of interest. While plastic surgery as a whole is dedicated to enhancing the function and appearance of both well-functioning and impaired structures, not all plastic surgeons have the same levels of experience working with the anatomic elements and aesthetic principles of the face. For this reason, proper research into your prospective surgeon’s education and training can be vital to achieving the results you desire. The principle difference between a facial plastic surgeon and a plastic surgeon lies in the focus of their medical training. Generally speaking, after completing residencies in both general and plastic surgery, a plastic surgeon may undergo further residency and fellowship training in one of many sub-specialties, including surgery of the breasts, body, hands, etc. 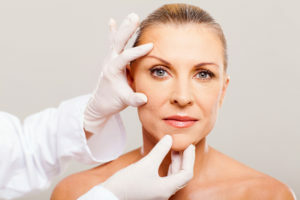 To be deemed a “facial plastic surgeon,” one must complete years of rigorous and specialized training in otolaryngological surgery, or procedures of the head and neck. This typically involves a comprehensive understanding of facial aesthetics, as well as proficiency performing cancer removal surgery, trauma reconstruction, and craniofacial surgery, among other concentrations. With a facial plastic surgeon, you can trust that he or she has been board-certified by the American Board of Facial Plastic and Reconstructive Surgery and has undergone the requisite training to understand the complex anatomy and conditions of the head and neck. Ultimately, selecting a board-certified facial plastic surgeon to perform your procedure is the best way to ensure you are receiving the highest caliber of safety, expertise, and results for your facial enhancement. From simple rejuvenation to intricate reconstruction, you can feel confident that you are entrusting your care with a professional who has dedicated their career exclusively to surgical disciplines of the head and neck.